It begins with our passion for chocolate. The finest, freshest ingredients. Created by hand in the tradition of the world’s finest chocolatiers. But why do we make the entire experience so interesting? Why do we make it such an adventure? Because The Chocolate Lab is a very different chocolate experience. 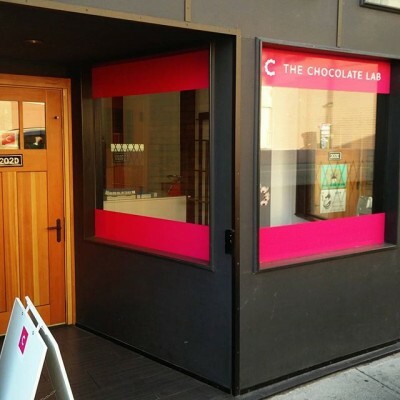 From our creations to our locations, The Chocolate Lab brings the adventurous spirit of youth to luxury chocolate. Chocolate is one of life’s great experiences, so we explore and invent, taking chocolate to new heights, much like the finest chefs in the world create in fine restaurants. We are experience explorers, pushing beyond the ordinary. It’s an adventure worth tasting. While the taste is like no other, that is not the only craving we satisfy. We don’t stop at the five senses – taste, sight, sound, smell, touch – we also satisfy your sense of adventure. The secret to our success is fulfilling a deeper need – taste buds are but the door to the heart and soul – the need to feed the human spirit.